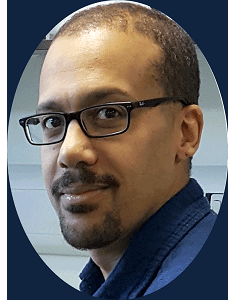 Barry Chioza is a Research Fellow working at the University of Exeter Medical School. Barry obtained an Honours degree in Biochemistry from Aberystwyth University before going to King’s College London to complete a M.Sc. in Neuroscience, followed by a Ph.D. in Molecular Genetics in 2002, entitled “Identification of genes involved in idiopathic generalised epilepsy”. The project aimed to identify variants in candidate genes for idiopathic generalised epilepsy (IGE) that have been previously identified to be involved in Mendelian idiopathic epilepsies in humans or mouse models using case-control and within-family association studies. After completion of his Ph.D. Barry worked within leading research groups at the University College London, St George’s University of London and the University of Exeter. Barry’s work at St George’s primarily involved the elucidation of the genetic and molecular basis of inherited neurological conditions in genetically isolated communities such as the Amish communities of Ohio and Indiana, UK, India, Oman and Pakistan and has led to the identification of several novel disorders. These findings have provided the fundamental scientific insight required to develop therapeutic intervention for some of these disorders. Barry also has an interest in the definition of new genetic causes of inherited hearing loss and has played a central role in the identification of new syndromic forms of pre-lingual hearing loss in the Amish. Barry joined the Complex Disease Epigenetics Group in January 2018 to work on the MRC project investigating regulatory genomic variation associated with schizophrenia in human neuronal nuclei.